Stocks declined steeply Monday as investors grew concerned over what appeared to be a new escalation in the global trade dispute–only to get a late day boost from one of the Trump administration’s leading trading hawks. The Dow Jones Industrial Average lost nearly 500 points before reversing course to close down 328 points, or 1.3percent. The S&P 500 fell 1.4 percent, while the Nasdaq Composite dropped 2.1 percent. 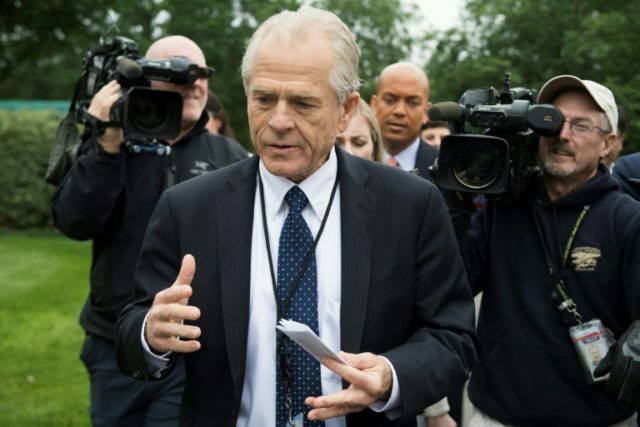 A late in the day appearance by Peter Navarro, Trump’s senior trade adviser, appeared to turn things around. Navarro insisted that the administration’s trade policy is “bullish” for U.S. stocks and said that the market was overreacting to reports that the administration would restrict foreign investment by China and other countries. The recent heightened anxiety about trade among investors can be traced to a pair of events Sunday. First, President Trump tweeted that “all countries” would have to remove trade barriers or tariffs on imports or face retaliation from the U.S.
“The United States is insisting that all countries that have placed artificial Trade Barriers and Tariffs on goods going into their country, remove those Barriers & Tariffs or be met with more than Reciprocity by the U.S.A. Trade must be fair and no longer a one way street!” Trump tweeted. Many investors viewed this as a broadening of the Trump administration’s trade disputes, reaching beyond China to include Europe and Japan. 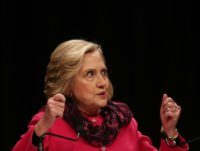 This was seen by many as an attempt to reassure China that it was not being singled out. But many investors read it as foreshadowing a possible broadening of U.S. investment restrictions. That appeared to accelerate the stock sell-off. Navarro, appearing on CNBC at 3 p.m., appeared to reverse the course set by Mnuchin–and with it the market. Tensions with China are mounting. Last week, Chinese President Xi Jinping told a group of American and European multinational chief executives that his country was planning to strike back against the latest trade actions by the U.S., according to the Wall Street Journal.